We invite you to explore Shadowbrook Apartment’s five floor plan options, each designed for function, enjoyment, and ease. At 551 square feet, the studio apartment offers more space than a standard efficiency unit, and has bonus features that increase the space, such as a breakfast bar and extra storage. Residents in the one bedroom apartment homes have 736 square feet to design and make their own. To help with that, we’ve included a separate dining area, pantry, utility room, and oversized bedroom. Two bedroom, one bathroom floor plans range from 965 to 1,035 square feet. Both options include a master bedroom with walk-in closet, large galley kitchen, and hall closets. The largest unit is 1,151 square feet and has two bathrooms, linen closet, and extra-large kitchen. Every home is complete with a private balcony or patio, plus a convenient exterior storage unit. To help you get organized, we’ve also included additional closets and storage spaces throughout each floor plan. 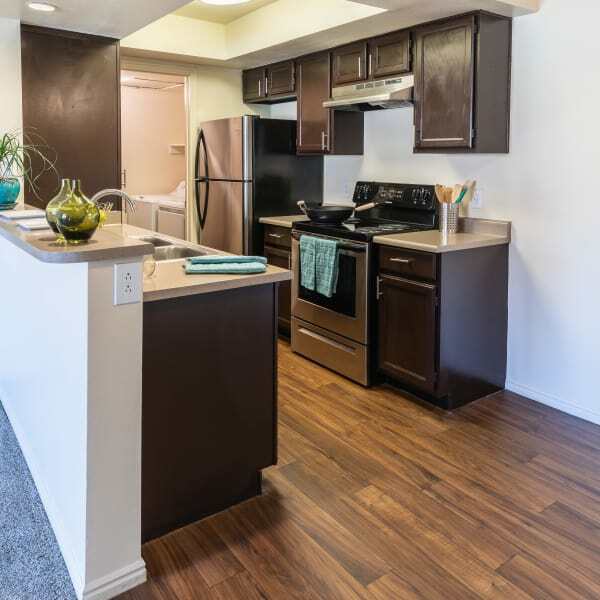 With five distinctive floor plans to choose from, you’ll find the apartment home that suits your needs at Shadowbrook Apartments. 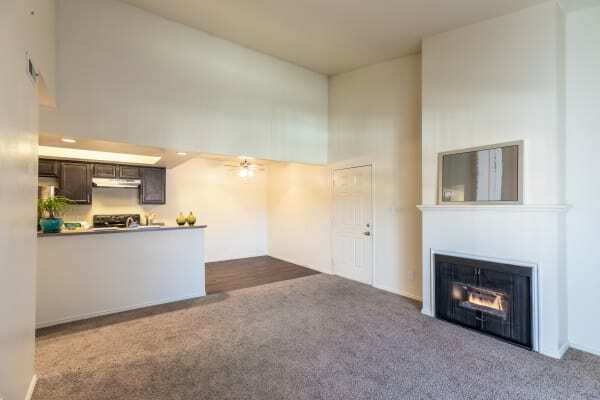 We offer budget-friendly studios, as well as one and two bedroom apartments in West Valley City, UT, less than 10 miles south of Temple Square. Amenity-rich floor plans range from 551 to 1,151 square feet and are designed for individuals, families, and roommates. Need an efficient home for one or two people? The studio is a complete unit with dual closets, pantry, and open living space. Looking for a two bedroom, but want a choice between size and amenities? We have three options to choose from. No matter which unit you choose, you’ll have direct access to the great outdoors and views of the professionally landscaped grounds from the private balcony or patio. Selecting a new apartment has never been easier, thanks to the high-value options at Shadowbrook Apartments. There’s something for everyone at Shadowbrook Apartments. View our five unique floor plan models and begin imagining yourself living here. Call us to schedule a personal tour and we’ll take it from there.